For someone whose educational career spanned over 50 years, the number of books from Rav Joseph B. Soloveitchik is rather scant. While there are a number of articles from him, the number of books he wrote is few. Rabbi Jonathan Ziring quotes Rabbi Mosheh Lichtenstein and explained the reason why there are relatively few books from Rav Soloveitchik and from his father Rav Aharon Lichtenstein (Rav Soloveitchik’s son-in-law). He explained that in Europe, there were many great European rabbis who lived in very small towns and the entirety of their creative enterprise was based in writing. They did this as their rabbinic duties didn’t take up much of their time, or demand much of their intellectual energies. But as these figures become roshei yeshiva, their creative enterprise was with their students, and their writings become much less. Perhaps no one personifies that more than Rav Soloveitchik. While we have his classics The Lonely Man of Faith, Halakhic Man, and a few others, they really don’t add up to more than a few hundred pages. While his page count is low, his legacy is bound up in his students, and their students. 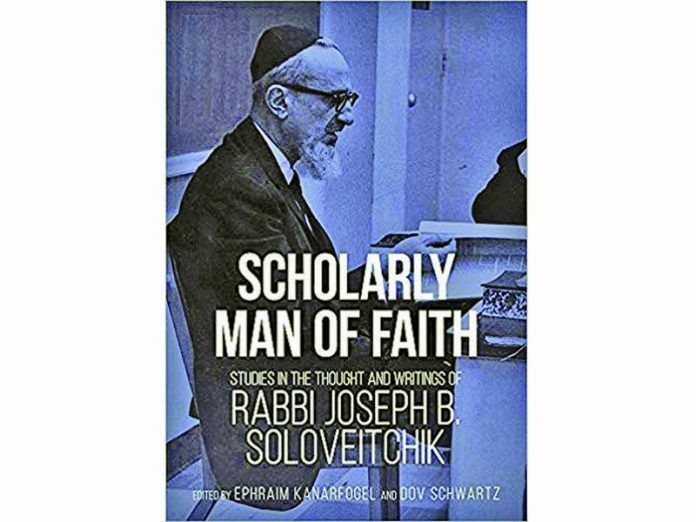 In Scholarly Man of Faith: Studies in the Thought and Writings of Rabbi Joseph B. Soloveitchik, editors Rabbis Ephraim Kanarfogel and Dov Schwartz have gathered collected essays from six experts in the thought of Rav Soloveitchik. Namely Rabbis Shalom Carmy, David Shatz and Ephraim Kanarfogel, and Drs. Shira Weiss, Daniel Rynhold and Alex Sztuden. As to the lack of written work by Rav Soloveitchik, Rabbi Shatz notes that this was a common lament during the Rav’s lifetime. While Shatz writes that the lamest of the scarcity of publications by the Rav were exaggerated, the reality is that they are indeed insufficient. With essays on topics such as Biblical Hermeneutics in the Thought of R. Soloveitchik: A Preliminary Appraisal of the Influence of R. Yehudah Halevi, Science of Hermeneutics? Rav Soloveitchik’s Scientific Method Revisited and more, this is a book by serious scholars and meant for a readership well-versed in western philosophy and at home with Rav Soloveitchik’s worldview. 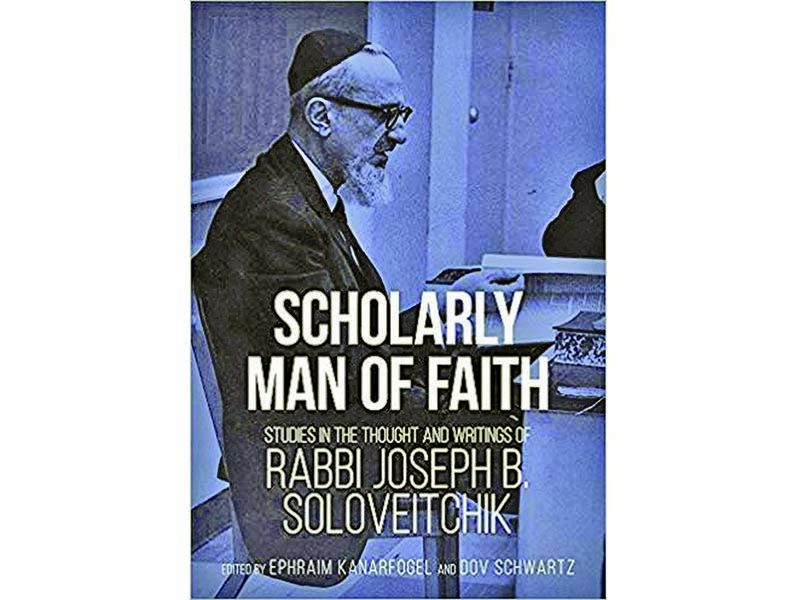 For such readers, Scholarly Man of Faith is a reminder just how timeless and relevant Rav Soloveitchik was, and is. Next articleYorkers – But Are They Kosher?